What Do The New High Blood Pressure Diagnostic Guidelines Have To Do With Osteoporosis? Two medical organizations conspired last month to give 30 million Americans a high blood pressure diagnosis overnight. Inciting an immediate, far-reaching epidemic sounds like the work of a villain, but it’s business as usual for Big Pharma and the Medical Establishment. Today we’ll look at the recent change in the recommended diagnostic guidelines for high blood pressure and how such a change can impact the lives of millions of Americans. It’s a travesty that bears a marked resemblance to the indefensible decision that turned osteoporosis into a disease. We’ll chart the parallels after we discuss the new definition of hypertension. Since 1993 until last month, the diagnostic barrier for high blood pressure was 140 over 90. If your blood pressure reading were higher than that, you would be told you have high blood pressure, and your doctor would likely prescribe drugs. Blood pressure is a measurement of the pressure exerted on blood vessels. The two numbers in a reading are the systolic pressure (the top number) and the diastolic pressure (the bottom number). The systolic pressure is the force exerted on the vessels when the heart beats, pumping blood through the arteries. The diastolic number is the pressure between beats when the heart is briefly at rest. Will this change in diagnostic threshold help more Americans avoid an untimely death? Or will it just frighten them into taking more drugs that will cause a cascade of additional health issues without even addressing the necessary dietary and lifestyle changes? Hypertension is not a disease. It’s a description of a physical condition that can be managed without drugs. Treating it like a disease is misguided from the start. That includes the practice of prescribing side-effect-heavy drugs to large swaths of the public. High blood pressure is the result of behavioral, dietary, and lifestyle habits, and the best way to lower blood pressure is by improving them. 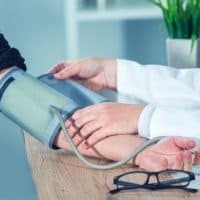 The authors of the new diagnostic parameters are insisting that only 2% of people who fall in the newly established Stage 1 of hypertension will need to take blood pressure medications. They recommend combating hypertension with improved dietary habits and exercise. Whether doctors will actually follow through with that is doubtful. With Big Pharma pushing their prescription drugs, most doctors are likely to skip the recommended course of action and go straight to their prescription pads. For Americans over the age of 65, these new guidelines dictate that doctors prescribe more drugs, guaranteeing huge profits for Big Pharma. Three years ago, the official position on hypertension was changed to advise doctors not to start patients over the age of 65 on medicines unless their systolic pressure was over 150. This decision reflected the stress and harm caused by the side effects of blood pressure drugs, side effects that are then treated with additional drugs. The only limitation suggested was that drugs not be prescribed for anyone too frail to handle them. Essentially they are recommending that these drugs be prescribed to everyone who can survive the trauma of taking them. Once the Medical Establishment creates disease parameters, Big Pharma is ready (and eager) to produce drugs that treat the newly-invented disease. This happens at the expense, both monetary and physical, of patients. Savers know the pattern well because the same system created the current mainstream definition of osteoporosis, recently labeled as a ‘disease’. In fact, the contemporary history of osteoporosis is actually the history of the drugs developed to treat it. The changes in medical policy followed suit, creating a market for them to exploit. You can read more about this and the history of Fosamax (alendronate), the first osteoporosis drug, here. At the end of the day, the redesignation of hypertension is a cynical bet that fear is more effective than knowledge. It’s an opportunity for drug companies to sell their products by preying on the fear that many doctors will instill in their patients. 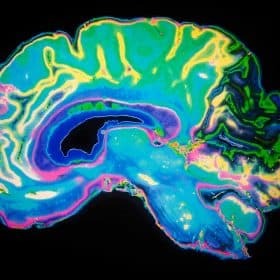 Knowledge is far more useful and powerful than the fear and trauma created by pathologizing a condition. 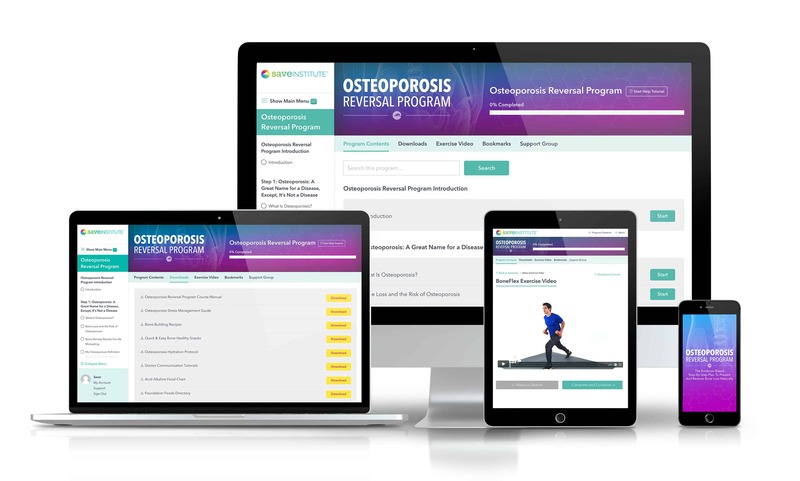 That’s why we created the Osteoporosis Reversal Program, and that’s why you’re reading this right now. Keep learning and regaining control of your bones, your overall health, and your future. Please make this book available in hard back book form. I hate printing out all those pages. Lots of people feel this way. You just may increase sales. Thanks. Are there any legal suits against the company that manufactured Fosamax? I have a friend who took Fosamx and has suffered from Osteocronosis of the jaw and has had bone fractures in both of her legs. She now has metal rods in her legs.. Her health has been decimated by that drug. Evidently, Big Pharma says it can not be held responsible after five years. Surely there is a way she can sue this company! As a child, I was diagnosed with high blood pressure of a 40 yr old. That was before meds for that condition were invented. The pediatrician told my mom to modify my diet – off table salt, sugar, processed foods and soda. My BP dropped & normalized and as an adult, I’ve regularly had low-normal BP. For me, controlling diet was the solution – not drugs. (As a kid, I always had enough physical exercise.) Thanks for calling attention to Big Pharma agenda again. Nice to have my thoughts validated by a medical professional. Just to clarify the meaning of “white coat syndrome”. It is when a much higher BP reading is obtained in the doctors rooms, compared with that taken at home shortly before the GP visit. In my case with a reading of 130/80 at home, I typically have a reading of 165/90 in the doctors rooms. My doctor says this is quite common and is a cause of overtreatment. A simple wrist BP monitor is great for checking BP at home. I am not on any BP medication. Need this in a Hardback book, cannot Print all those pages, nor do I want to… Just too long.. I would buy this informtion if it were in book form. Do not like a long print-out. Yes, my husband has had the same blood pressure numbers for years and ha been on meds. Now his doctor upped the dose per the new rule with scare tactics that he didn’t want him to have a stroke! And my husband is a retired surgeon so he will follow orders. 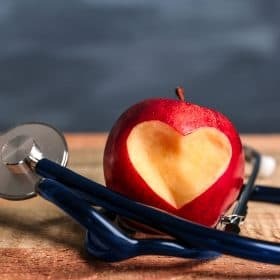 Research ways to naturally lower blood pressure, and try implementing them without stating it is for that purpose. Go for walks together, adjust your cooking, make water intake more readily available are just some ideas. You may have to be creative stating that it is you who needs to walk more, drink more water, etc. If his bp goes down naturally, the dr will lower his dosage or discontinue the med. Happy researching! Shouldn’t normal be a diastolic less than 80, and elevated be a diastolic over 80? Otherwise, the above does not make sense to me. Regardless, I instantly thought upon hearing this news, that this had to do with big pharma not selling enough blood pressure medication(s). Exercise and small changes to the diet, works nearly every time! Thanks, Mack, for finding that typo! We’ve corrected it. 🙂 And you’re so right about exercise and small changes in diet! In fact, any small changes in a positive direction are very helpful. Magnesium supplements lower blood pressure somewhat. Often recommended by obstetricians for expectant moms for that purpose. Makes sense to me for anyone with slight elevation of blood pressure. Those already on medication may have to reduce dosage of meds after adding in magnesium. I am 80 years old and the only man here in the apartment complex who no longer has any prescription drugs. Last February, I ended my Metoprolol at 5mg. The year before, I was still being labeled as diabetic, when I removed myself from a statin drug the doctor had suddenly doubled from 20 to 40 mg. I phased myself out to Zero. Today, the reaction is accepted but they are just waiting for another excuse to “give it” to me. All those side effects had me looking for roller skates so I could move, bu that wouldn’t work either since my wrecked body was seriously deficient in balance. How wonderful, Peter! I love your description of how your health is improving. You are so inspiring (and funny). Keep up the great work and fabulous attitude! Well done Peter, I too refuse to go on diabetic medication and have kept it at an acceptble level for past 5 years with diet and exercise people just have to want to do it. Excellent . Thank you very much . You are welcome, Marlene. And I hope you have a great day, too! Here in Australia it was recently recognised that doctors were over treating patients for high blood pressure. It was found that “white coat syndrome” is quite widespread. Doctors are encouraging patients to take their own BP at home to check on this possibility with high readings in the doctors rooms. I am one such person suffering “white coat syndrome”. “White coat syndrome” – what an accurate description of the “affliction” so many medical professionals seem to “suffer from”! I hope you’re able to choose treatment options you’re more comfortable with in the future. I have learnt so much from “save our bones” emails, readings & downloads. That’s exactly why the Save Institute exists, Rosalie! I’m so proud of you for making your own decision regarding your bone health, and not being afraid to stick to it.